One weekend a month through May 2018, Aqua Trek sponsors a trip to far west Texas. 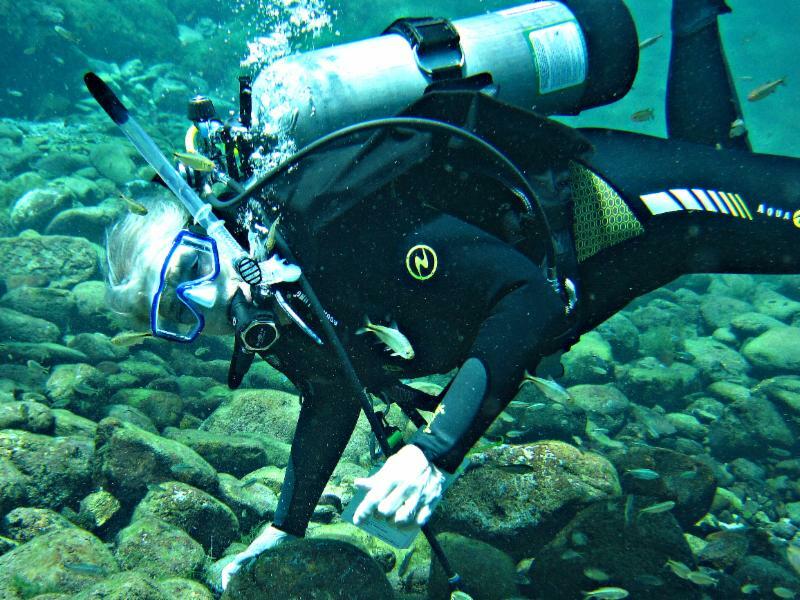 Join us during the coming months to Balmorhea for some fun, clear water, spring diving. The water temperature stays 75 - 77 degrees year round and makes for comfortable diving for your check-out dives or to work on your specialty classes, or just have fun in the 80 to 100 ft. visibility. After a full day of diving Saturday, there will be some evening choices like going to historic Fort Davis or the McDonald's Observatory. The planned cabin refurbishing has been delayed so cabins are available at the park grounds. Call the Texas State Parks to make reservations for the weekend. Call the shop at 817-887-9173 and get your place on one of our trips for the 2018 season.